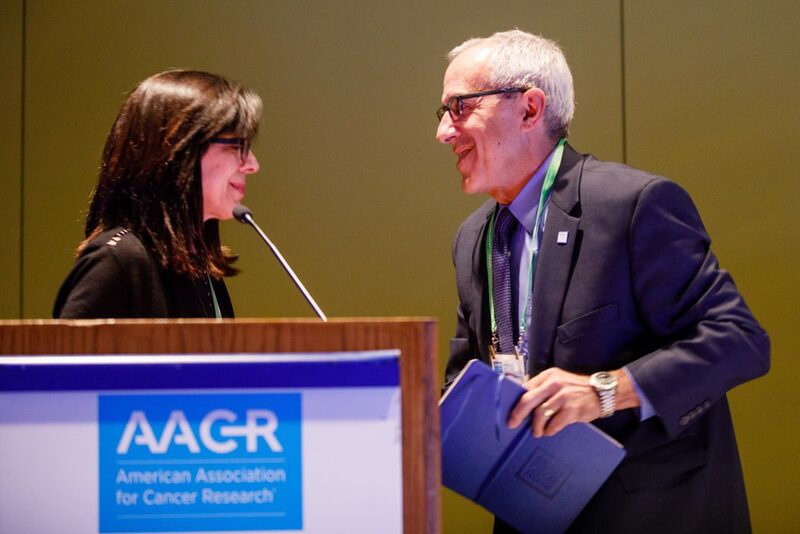 Roads and roadblocks, both literal and metaphorical, figured into a panel discussion on the state of cancer research and care in the U.S. and globally, held April 17 at the AACR Annual Meeting 2018 in Chicago. The event, called the Biden Cancer Initiative Colloquium, was led by Greg Simon, president and CEO of the Biden Cancer Initiative. 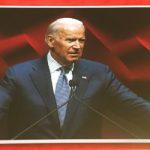 The Biden Cancer Initiative is a nonprofit established by former Vice President Joe Biden and Jill Biden, PhD, in June 2017 to accelerate progress in cancer prevention, detection, treatment and care. Simon was introduced by oncologist and immunotherapy researcher Elizabeth M. Jaffee, MD, AACR president and deputy director of the Sidney Kimmel Comprehensive Cancer Center in Baltimore​. Jaffee is also on the Board of Directors of the Biden Cancer Initiative. For Jay Holley, head of partnerships for Uber Health and a colloquium panelist, the roads are literal. Ride-hailing company Uber launched its Health platform in March 2018, giving health care providers another method of arranging transportation for their patients. The goal is to make it easy for technologically challenged patients to take advantage of the service without needing a smartphone or the Uber app. “Care begins with getting there,” said Holley. “Transportation issues are a massive problem that especially impacts chronic care patients.” He stated that the Uber Health ride service is available everywhere in the U.S. that is served by Uber. Financial roadblocks are the main concern of Carla Tardif, CEO of Family Reach, a nonprofit that offers financial assistance, education, and help with steering through the health care system to patients who are in need. According to Tardif, 73 percent of cancer patients and one in three families dealing with pediatric cancer will face money problems during their care. Giving patients easier access to clinical trials is the goal of Louis J. DeGennaro, president and CEO of the Leukemia & Lymphoma Society (LLS). In October 2016, LLS launched the Beat AML Master Trial, an innovative attempt to speed development of effective treatments for patients with acute myeloid leukemia (AML). The trial, intended for newly diagnosed AML patients over age 60, uses genomic profiles of patients’ cancer to match their AML genetic mutations with investigational drugs or drug combinations to treat the condition. The trial is testing nine drugs in more than 200 patients, and aims to offer a treatment plan for a patient within seven days of their genomic testing. This target has been met in 98 percent of patients, DeGennaro said. Gynecologic oncologist Carol Brown of Memorial Sloan Kettering Cancer Center highlighted roadblocks that can prevent patients living in underserved parts of New York City from enrolling in clinical trials. Brown described the Cancer Health Equity Research Program at Memorial Sloan Kettering, which gives patients access to trials via oncologists in poor and minority neighborhoods of Brooklyn, Queens, and the Harlem section of Manhattan. So far 240 patients have had their tumors genetically profiled, a crucial step in gaining entry to many clinical trials, and 17 percent have mutations that could be targeted by treatments. However, only three patients have been enrolled in trials, mostly due to other health conditions that precluded their participation in clinical trials. Also speaking at the colloquium were Asif Dhar, chief health informatics officer and principal at Deloitte Consulting, who spoke of the goal “to make cancer not a death sentence but the beginning of a life one”; Patricia M. Doykos, director of the Bristol-Myers Squibb Foundation, who reported attempts to ensure equal access to the health care system for everyone; and Stanley L. Gerson, a hematologist-oncologist and director of the Case Comprehensive Cancer Center in Cleveland, who detailed a collaboration between Case Western and the GW Cancer Center in Washington, D.C., to launch a smoking cessation program. At the end of the 90-minute colloquium, the panelists accepted a challenge laid down by Simon: to work together on a cancer-related project during the next 12 months and report on it at the AACR Annual Meeting 2019 in Atlanta. Kevin McLaughlin is executive editor of Cancer Today.